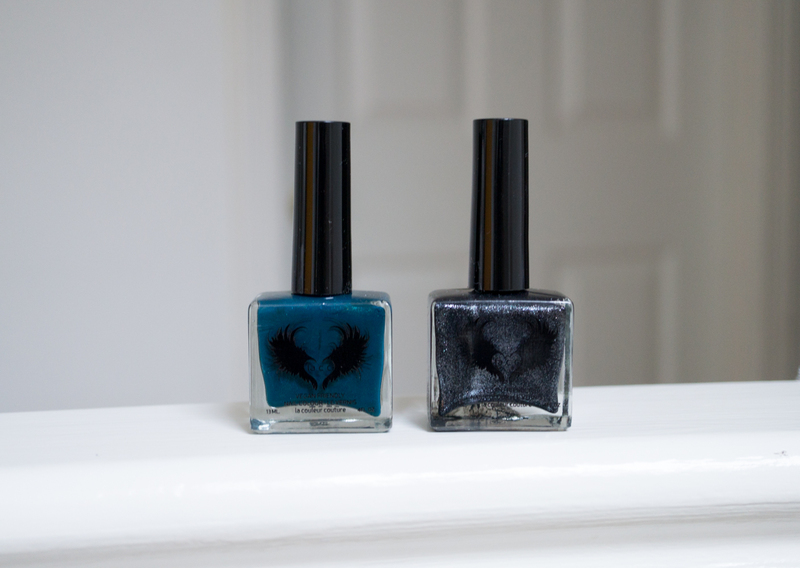 More companies are coming out with safer formulas for nail polish, and this season a new Canadian line, La Couleur Couture (LACC), has developed a toxic-free, cruelty-free, vegan-friendly nail lacquer. The cool thing is, the headquarters is in Vancouver! All the nail polishes in the La Coueleur Couture line are named after years(?) 1966 is the blue-ish green colour and 1999 is the shimmery black colour. 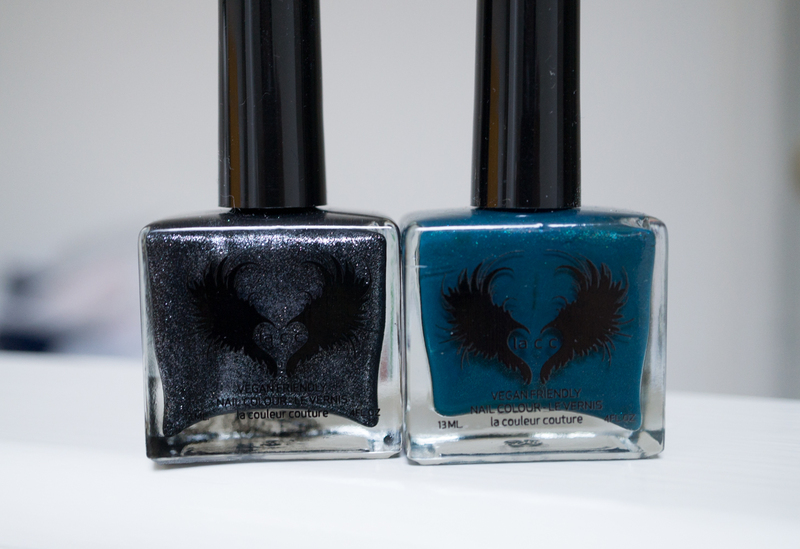 Both colours look shimmery in the bottle, but the shimmer is minimized when applied on the nails with 1966, whereas the shimmer is more obvious with 1999. The colours look a tad bit different in the bottle compared to it on the nails. Both polishes have a high shine look to them like gel nails. The best part of the polishes- they also dry really fast so I could do random tasks already after 5 minutes of applying the nail lacquer. 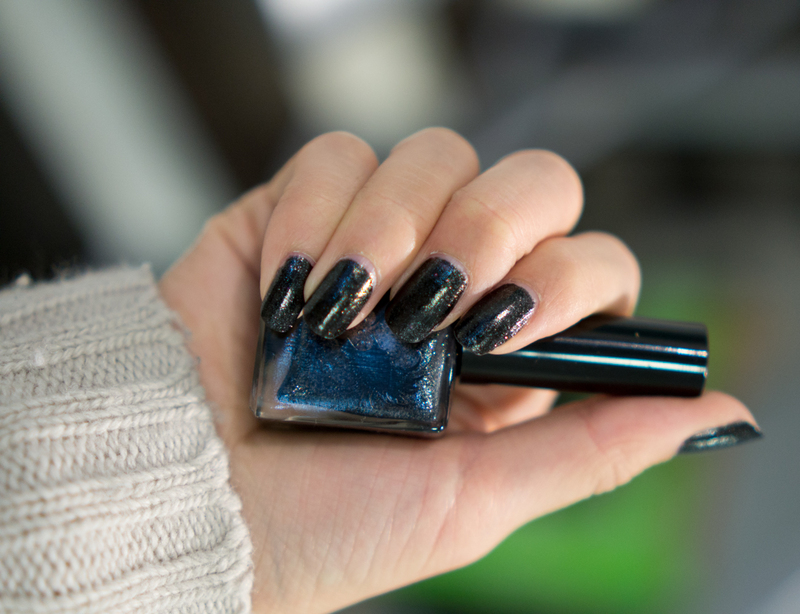 1999 is a black nail polish with fine shimmers and it kind of reminds of the galaxy when I look at my nails. When I removed this colour off my nails, there was no staining at all! Even though I wore a base coat, some black polishes still make my nails look grey and unhealthy, but my nails looked perfectly pretty clean after taking off 1999! 1966 is a very dark green colour on my nails and the shimmer can be seen at certain angles of light. I don’t see any hints of blue on my nails, though I thought there would be since the bottle looked like the polish is a dark teal colour. I think this colour would be fun to wear when Christmas comes closer!! The formula of these nail polishes has won me over. They aren’t goopy and in two layers I could get a good coat on. I love that the dry fast and they have a very polished look to them. They also lasted around a week on my nails with very minor chipping! (Plus, the bottles aren’t round which is a huge savior of space in my cramped makeup and nail polish shelf.) I do find it a bit hard to remember each name of the polish as they’re all years/numbers rather than names that reflect their colour. What do you think about that? La Couleur Couture is available in Shoppers Drug Marts across Canada for $12.99 per bottle. Have you tried anything from LACC before? Disclaimer: Samples provided for review, all opinions are my own. 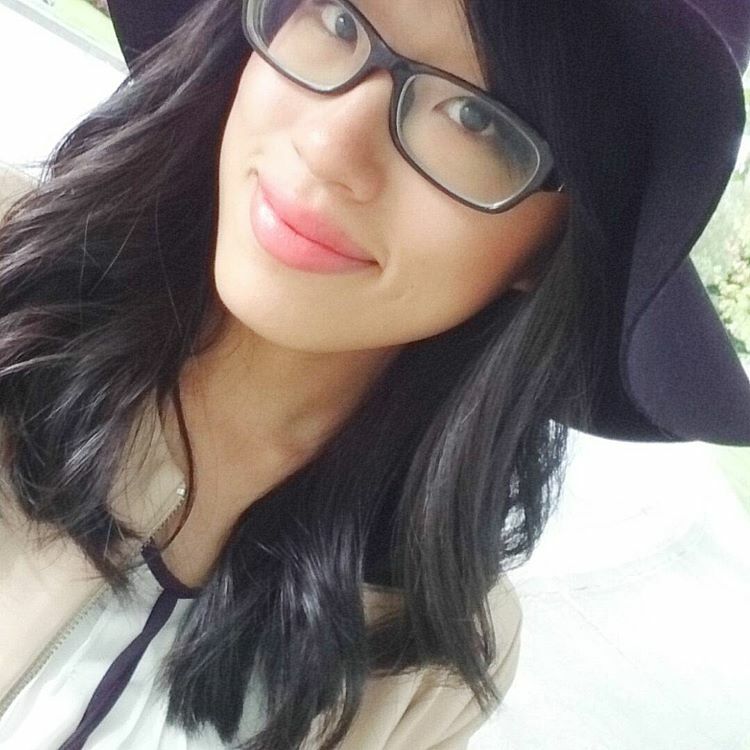 Winter Glam with Avon + mark.